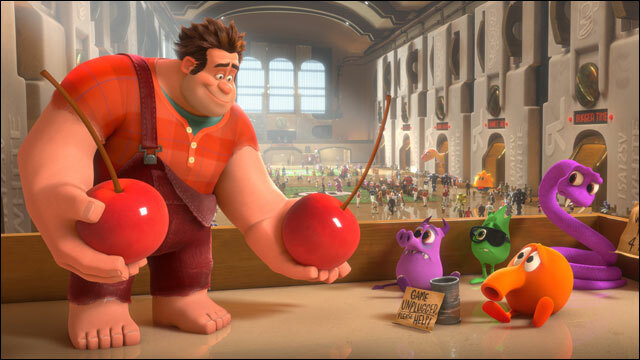 “Wreck-It Ralph” will easily climb to the top of the domestic box office this weekend, but how much damage Disney’s 3D toon does will depend greatly on how fast crews can fix power outages caused by Hurricane Sandy. Tracking suggested a $40 million-$50 million opening for “Wreck-It Ralph,” while Paramount’s Denzel Washington drama “Flight” was in line to follow with $12 million-$15 million through Sunday. Rapper RZA’s directorial debut “The Man With the Iron Fists,” from Universal, should land somewhere in the high single digits. Sony-MGM’s latest Bondpic, “Skyfall,” will continue to dominate overseas plexes, expanding to 53 additional markets including Germany, India, Italy, Mexico and Taiwan. Last weekend, the film debuted to a whopping $80.6 million from 25 markets. Pic crossed $100 million internationally this week. Theaters up and down the East Coast have been steadily reopening since Monday, which led to a healthy B.O. resurgence on Tuesday in major markets like New York and Washington. But that’s based on severely depressed grosses Monday, when Regal, for instance, closed more than 100 theaters in affected areas. Regardless, East Coast auds may be too rattled or preoccupied with storm cleanup to go to the movies. Even without that uncertainty, weekend totals were still likely to have trailed last year’s frame, when “Puss in Boots” and “Tower Heist” topped with $33 million and $24 million, respectively. “Wreck-It Ralph” has been tracking solidly for several weeks. The vidgame-themed toon also garnered positive responses from a slew of early test screenings, especially from gamers and fanboys, a significant boon for evening showtimes. That demo could be key for “Ralph” this weekend since family tracking always is difficult to gauge. Par debuts “Fight” at a reserved 1,900 locations, though the spread encompasses virtually all of the nation’s top-performing theaters from the major U.S. markets. The $31 million film, which co-stars John Goodman, Kelly Reilly and Don Cheadle, is director Robert Zemeckis’ first live-actioner since 2000’s “Cast Away” and has been heating up with adults lately. Universal is taking a similarly conservative approach with “Iron Fists,” launching the film at 1,868 Stateside engagements. The martial arts film is a low-risk project for U; pic cost $15 million, with Strike Entertainment’s Marc Abraham and Eric Newman producing. “Flight” and “Iron Fists” could see a minor overlap among African-American and Latino men. At the specialty B.O., Roadside Attractions bows horror sci-fi pic “The Bay” at 23 domestic locations today. The Weinstein Co. goes limited with a pair of dark comedies this weekend: “The Details” via Radius-TWC launches at 12 theaters, while Sean Penn starrer “This Must Be the Place” bows at two.